Disney and Final Fantasy fans will finally get another chance to play the mash-up of two of the world’s largest entertainment giants. 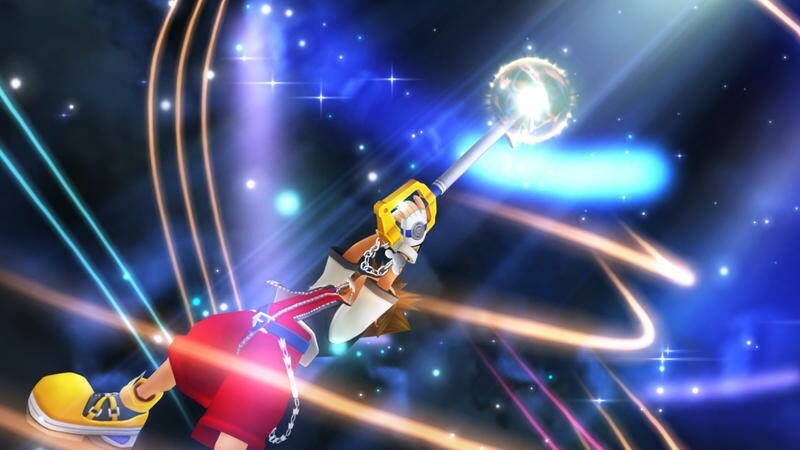 Kingdom Hearts 1.5 HD ReMIX will be coming to American shores. 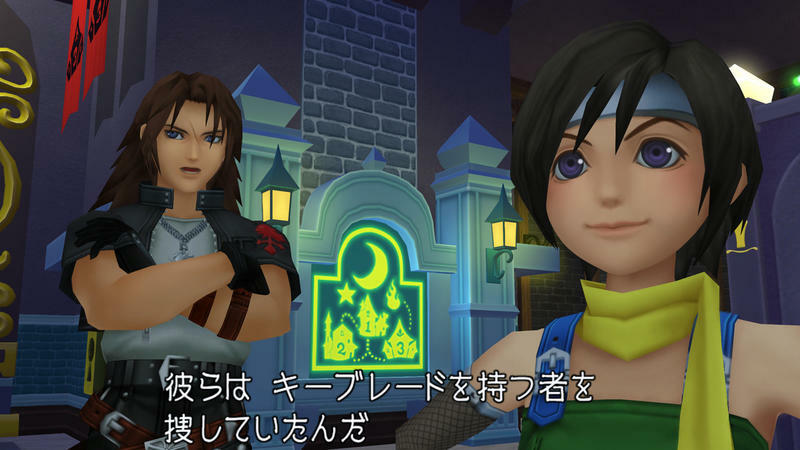 If you think you’ve played the full version of Kingdom Hearts, think again. The version included in the compilation is actually the Kingdom Hearts Final Mix, which was originally released exclusively to Japan and has extra content. Apparently we finally get to see a previously unavailable fight between Final Fantasy VII rivals Cloud Strife and Sephiroth. I wonder if they got Lance Bass back in the recording studio to deliver Sephiroth’s remaining lines. Also included in the compilation is Kingdom Hearts Re:Chain of Memories, the PS2 remake of the excellent little GBA game, and HD cinematics which retell the story of Kingdom Hearts 358/2 Days. I don’t think anybody really wants to play that game again, so Square Enix must have just assumed the videos were enough. Kingdom Hearts 2 is still yet to be announced for an HD remake, but I wouldn’t put it past Square Enix to pass up on the opportunity. The only question now is if it will be ready for the current generation consoles or if it will be available on the PlayStation 4. I might not have liked the black robed direction Square Enix took their series, but I remember the first game being pleasant enough to play through one more time. I haven’t given it a shot since it came out, and I would love to see the additional content. No date and price have been given yet, but the game will be exclusive to the PlayStation 3. LOS ANGELES (Feb. 25, 2013) – Square Enix, Inc., the publisher of SQUARE ENIX® interactive entertainment products in the Americas, today announced that KINGDOM HEARTS HD 1.5 ReMIX will be available this fall in North America exclusively for the PlayStation®3 computer entertainment system. Fully remastered in HD, KINGDOM HEARTS HD 1.5 ReMIX is a compilation of the critically acclaimed KINGDOM HEARTS FINAL MIX, previously exclusive to the Japanese market, and KINGDOM HEARTS Re:Chain of Memories. In addition, the two-in-one-disc package will feature HD cinematic story videos from KINGDOM HEARTS 358/2 Days, enhanced gameplay mechanics and PlayStation®3 system trophies. Players can now relive the origins of the celebrated franchise with Sora, Riku and the colorful cast of Disney characters, including Mickey, Donald and Goofy. For more information on KINGDOM HEARTS HD 1.5 ReMIX, including press assets, please visit: na.square-enix.com/press/kingdomheartshdremix. 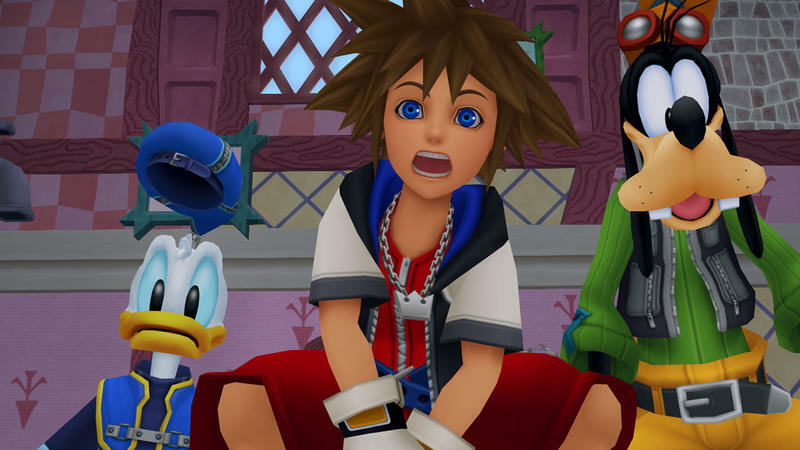 KINGDOM HEARTS HD 1.5 ReMIX is not yet rated. Please visit the Entertainment Software Rating Board (ESRB) website at www.esrb.org for more information about ratings. About the KINGDOM HEARTS series KINGDOM HEARTS is a series of role-playing games created through the collaboration of Disney Interactive Studios and Square Enix. Since the first KINGDOM HEARTS was released in March 2002 for the PlayStation®2 system, the series has expanded with several additional entries, and has shipped over 18 million units worldwide. About Disney Interactive Disney Interactive, one of the world’s largest creators of high-quality interactive entertainment across all platforms, is the part of The Walt Disney Company responsible for the global creation and delivery of interactive entertainment, multi-platform video games, and family-focused content across all current and emerging digital media platforms. Disney Interactive produces and distributes a broad portfolio of content from Disney Interactive Games and Disney Interactive Media. Products and content released and operated by Disney Interactive include blockbuster mobile, social and console games, online virtual worlds, #1 kid’s entertainment destination Disney.com and the #1 Family/Parenting portfolio on the Web. About Square Enix, Inc. Square Enix, Inc. develops, publishes, distributes and licenses SQUARE ENIX®, EIDOS® and TAITO® branded entertainment content throughout the Americas as part of the Square Enix Group. The Square Enix Group operates a global network of leading development studios and boasts a valuable portfolio of intellectual property, including: FINAL FANTASY®, which has sold over 100 million units worldwide; DRAGON QUEST®, which has sold over 61 million units worldwide; TOMB RAIDER®, which has sold over 35 million units worldwide; and the legendary SPACE INVADERS®. Square Enix, Inc. is a U.S.-based, wholly owned subsidiary of Square Enix Holdings Co., Ltd.